The Rainbow Room’s legacy began on October 3, 1934, when its doors opened for the first time. Wrapped in Manhattan’s dazzling skyline, this dining and entertainment destination became a beacon of style and sophistication. It transformed the 65th floor of 30 Rockefeller Plaza into the most elegant space in New York. 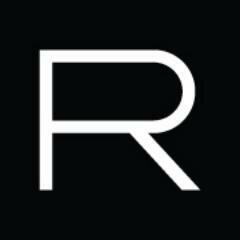 Today, its legacy endures.<br><br> <br><br>The Rainbow Room offers impeccable service and refined contemporary cuisine, reinforcing its standing as a quintessential New York venue. Guests are transported by world class dining, entertainment and dancing, all set within the most elegant and elevated space in New York. The views alone are breathtaking, but the landmark design and grandeur of the room are equally unmatched.<br><br> <br><br>After an extensive renovation of the space and a refurbishment of the iconic design elements, the Rainbow Room will open its doors to the public in October.<br><br><br><br>Join the Rainbow Room Team!<br><br>We firmly believe that our team members are the key to our success at the Rainbow Room. Our goal is to deliver the best guest experience and create special memories for all our customers. For our staff, we strive to provide an environment that offers challenging, stimulating and rewarding opportunities.<br><br><br><br>Join our team and discover a work experience where new ideas are met with enthusiasm and where you can grow to your full potential. We are seeking individuals committed to delivering the best service in the hospitality industry, and who enjoy working as a team to create magical moments in one of the most iconic locations in the world.